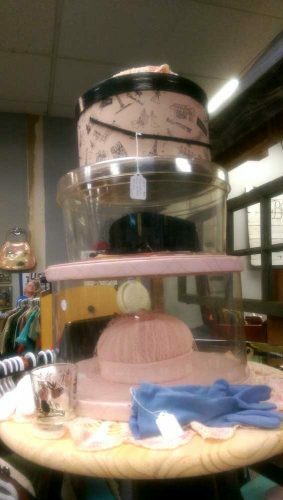 The Fargo Antiques & Repurposed Market (F.A.R.M.) 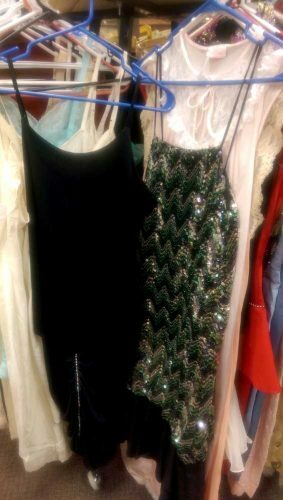 has expanded, opening a new, second location in the Moorhead Center Mall — and we’ve expanded too, taking another two booths there. 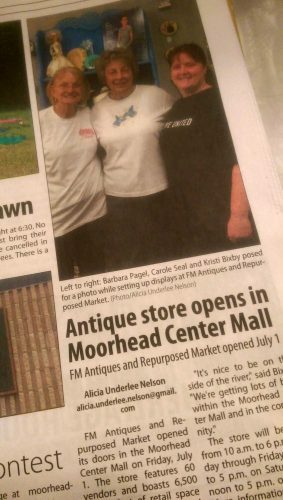 You can see a bit of our space in this photo taken for the article about the new location in the July 7, 2016 issue of the FM-Extra. The two booths are together, but one side (currently) focuses on Mid-Century Modern furnishings and decor (that link is just a sneak peek; will share more photos later, I promise!) 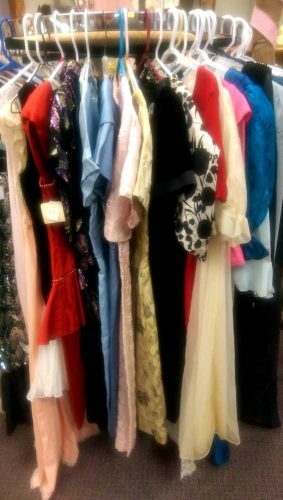 and the other booth is filled with vintage clothing. 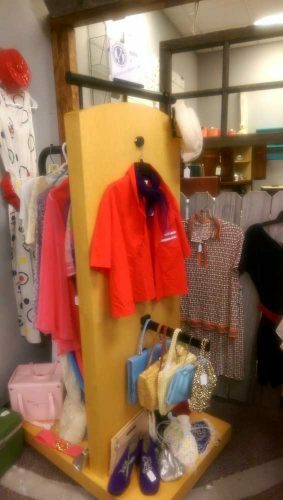 Yes, Fargo-Moorhead has another shopping venue for authentic vintage clothing! 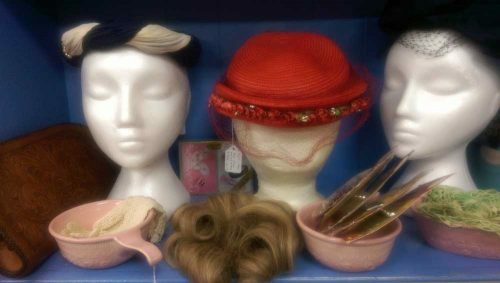 Our space features, easily, 100 years of vintage fashions, from Victorian all the way to retro 1990s pieces. 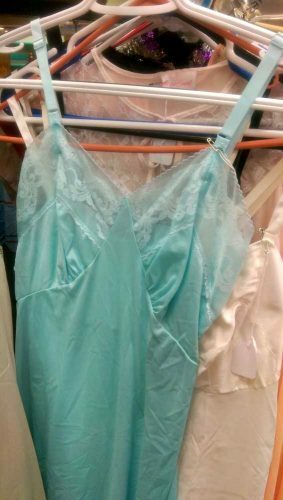 There are some truly rare beauties, including “Mad Men” fashions from the 1950s and 60s. 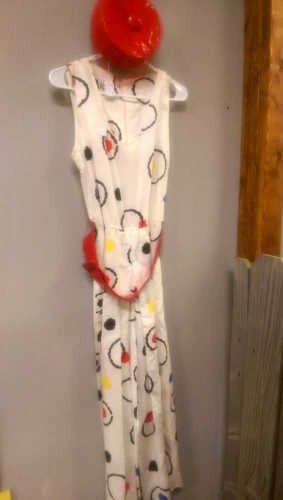 We have couture dresses (including quintessential little black cocktail dresses and wiggle dresses), classic rhinestone jewelry, “popcorn” bead handbags, violet vintage gloves, pink chiffon hats — even vintage hat boxes, train cases, vintage glove drying racks or hand forms (with adjustable thumbs! 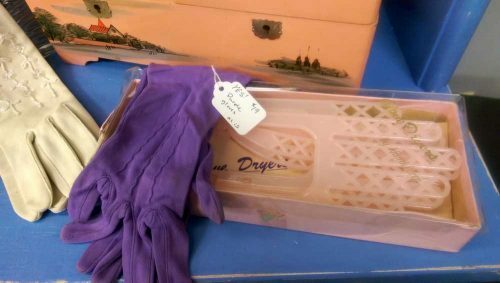 ), and fashionable vintage sewing advertising signs! 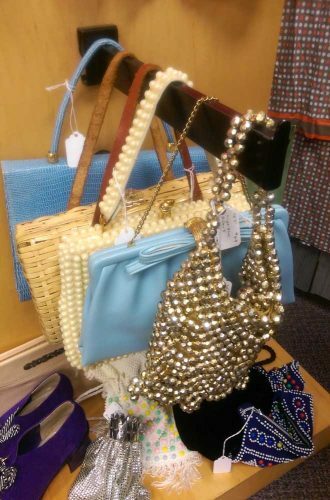 In addition to our vintage clothing, several other dealers at the new FM Antiques & Repurposed Market store also have vintage fashions for sale. So why not come on down to the Moorhead Center Mall and check it out? In fact, hubby & I will be working there today (Saturday, July 9th) so we can help you out! Look for more photos on our Twitter, Tumblr, & Facebook Page too!